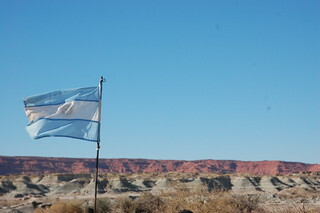 When I lived in Argentina from July 2001 to August 2002, I managed to visit the majority of the country, discovering my love for travel and the beautiful, varied scenery of this very unique country. Before moving back to the US, I bought a map of Argentina so that I could visualize all the different provinces I’d been to. 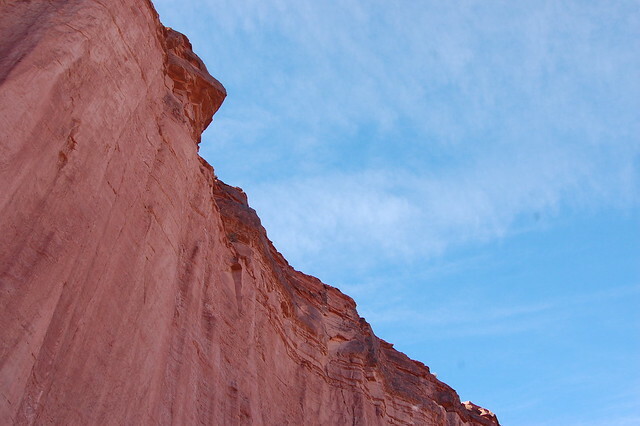 When I decided to head back to Argentina in 2013, I knew I wanted to visit San Juan’s Valle de la Luna (also known as Parque Regional Ischigualasto), which was another spot I had missed. As I did my research, I realize that it made more sense to head to nearby La Rioja; that way, I could also visit Parque Nacional Talampaya. 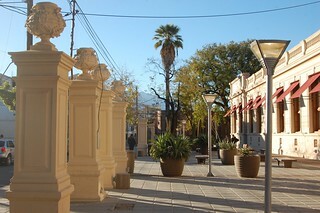 I arrived in La Rioja before dawn, exhausted from lack of sleep on the very short journey from Tucumán. I stalled at the bus station, waiting for my hostel to open at 7AM. I chose to stay at Hostel del Sol, a slightly pricier but attractive new arrival to the budget travel scene. As it turned out, the hostel was very quiet and not quite the place to meet other travelers, but I enjoyed chatting with the Argentines who worked there and finding out more about their lives. La Rioja is a small, traditional city that still observes the siesta for several hours mid-afternoon, when the sun is strongest. 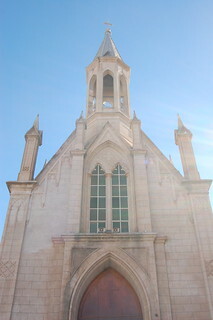 I took this time to wander around downtown La Rioja, checking out the major churches and cathedrals and getting a sense for the quiet lifestyle in this provincial capital. Finally, businesses opened again, and I headed to a highly rated tourist agency, Corona del Inca, to try to find a tour to explore the natural beauty surrounding La Rioja. I quickly found out that I was once again in trouble as a solo traveler, as all the possible tours required at least four people. Even though it was vacaciones, La Rioja usually sees very few tourists, and there were no tours leaving in the next few days. Without much public transportation around the area, it was looking nearly impossible for me to see any of the scenery around La Rioja. 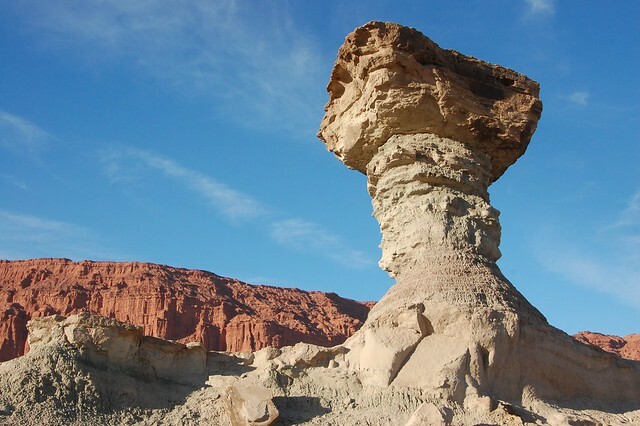 However, as I’ve said time and time again, my trip was blessed, and as I was sitting in the tourist agency, three very blonde, very friendly Dutch women walked in, looking for a tour to Parque Regional Ischigualasto (Valle de la Luna). Due to transportation costs, tours always include Parque Nacional Talampaya, but the very convoluted management of this national park means foreigners have to pay an additional fee to visit as well as go on a tour guided by the park rangers, driving up the cost of the already expensive tour. Basically, our tour guide was there for transportation purposes only. However, as budget travelers, these girls were not sure if it was worth paying so much for a tour that was so similar to the regions they’d just visited in Bolivia. 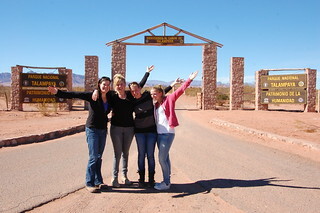 I agreed with them, but I was in La Rioja, and I was going to find my way to Valle de la Luna. In the end, they decided to go, and we set off early the next morning to Parque Nacional Talampaya, catching this gorgeous sunrise on the way. 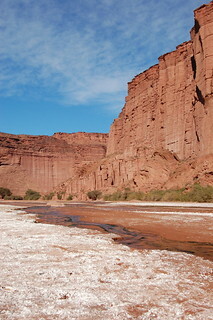 Parque Nacional Talampaya is basically a red rock canyon which you get to appreciate from the inside. 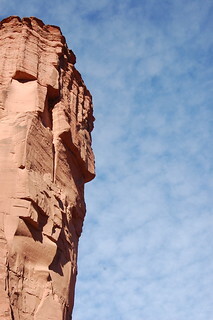 It is quite lovely to be down on the canyon floor, looking up at the towering rocks. However, instead of enjoying your ride with your tour guide from La Rioja, you’re forced to go on a large, guided tour with in the park’s official vehicles with one of their official guides. 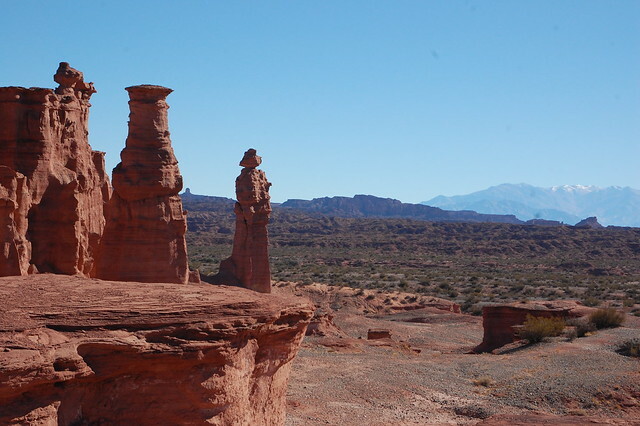 This is ostensibly to protect the scenery but the cost of this tour is so expensive that it is clearly a revenue generator for the national park system. Our official guide turned out to be kind of a jerk, stereotypically arrogant as well as super impatient when we lagged behind so that I could translate for the Dutch women, who did not speak much Spanish. Honestly, our experience with the official guide was so bad that I remember it clearly a year later and very nearly wrote a letter of complaint. On the bright side, we were lucky enough to have a friendly driver who explained interesting aspects of the history of the canyon and pointed out good photo opportunities from doing this tour so many times. 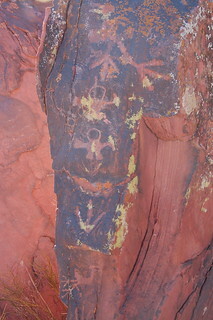 Beyond the red rock canyon walls, there is a fair amount of rock art left behind by the indigenous cultures that used to inhabit this area, along with more morteros, or ancient mortar and pestles. 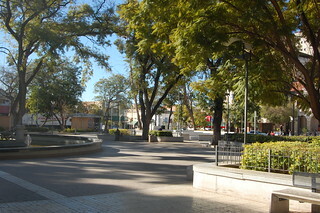 The park is also known for the algarrobo trees that grow here. We continued along our route, getting out to walk around a few times and take in the various aspects of the landscape. I especially appreciated the pretty clouds above us and the river creating vibrant, mineral-rich red mud on the surface of the canyon. 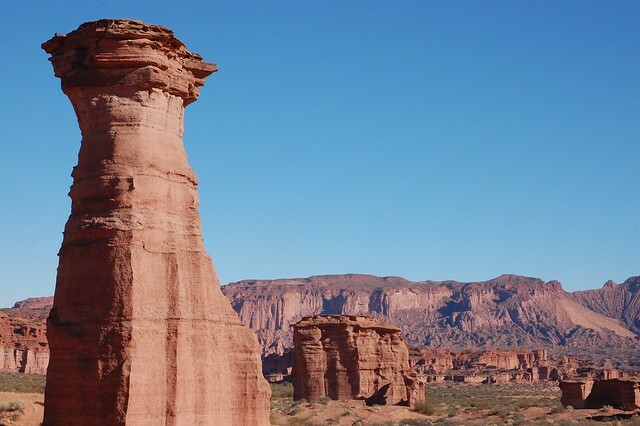 Like Valle de la Luna, which we would visit next, there are several rock formations that look so much like a condor or a cathedral that they are labeled with these names. 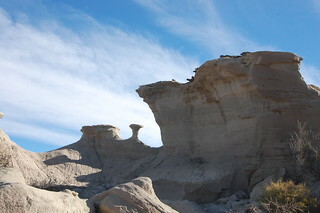 I was less interested in these formations and more intrigued by the steep cliffs towering above us. We could see the differences in minerals very clearly, shown by the obvious striation in the layers of rock. This indicates some sort of major climate-related event in the history of the region. 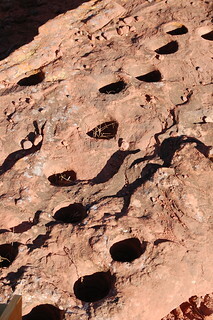 As we looked out over these towers of red rocks, I paid particular attention to the abrupt change in the landscape. 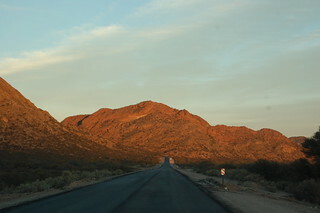 While the canyon was all red rocks and little vegetation, green bushes grew in abundance just beyond the national park. 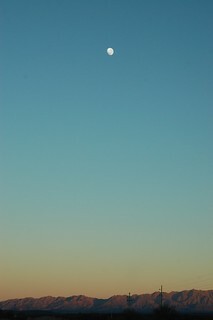 You could also spot the peaks of the Andes in the distance. It was so clear that you could make out the snow-capped mountains! On our way back, we actually got stuck in the soft mud and had to be towed out. I found this quite amusing and had to snap a picture. Before leaving the park, we stopped for lunch. As it turned out, the on-site restaurant actually offers a vegetarian option that I did not know about, so I’d packed my own snacks to get me through! After leaving Talampaya, we crossed the provincial border into San Juan province en route to Parque Regional Ischigualasto. 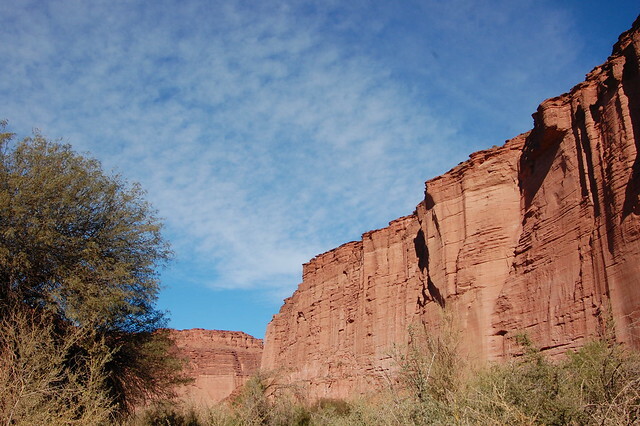 A little internet research showed me that the park encompassing Argentina’s Valle de la Luna has actually resisted becoming a national park for many years, probably to keep their revenue inside the province and to let them manage things their own way. 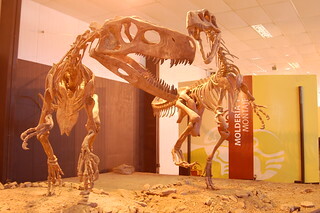 Valle de la Luna has turned up a lot of dinosaur fossils, which are the focus of the small on-site museum. 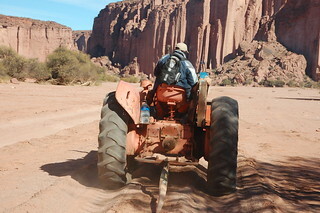 At Valle de la Luna, the rules are a little different; you must explore the area with an official guide, but all of the vehicles follow him caravan-style, stopping at five official viewpoints, where the guide explains what you’re seeing. Since it was a big week for travel for Argentines, our caravan was quite large, but the guide was good-humored and interesting and managed to explain the sites very well. He even tried to speak English with my Dutch companions! 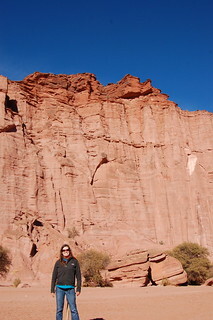 After the red rocks of Talampaya, Valle de la Luna really did look like another world. 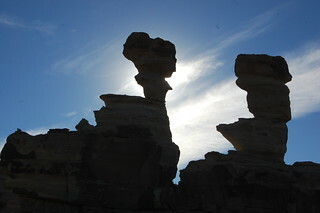 The brown and grey tones of the rocks looked desolate. If it weren’t for the massive number of visitors, you could certainly imagine being lost on another planet. 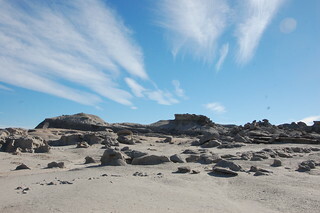 I loved the way the blue skies and clouds added another dimension to the landscape. 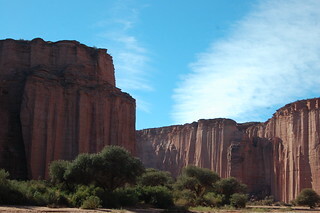 This part of the tour is called the Valle Pintado for the multicolored rocks in the valley. 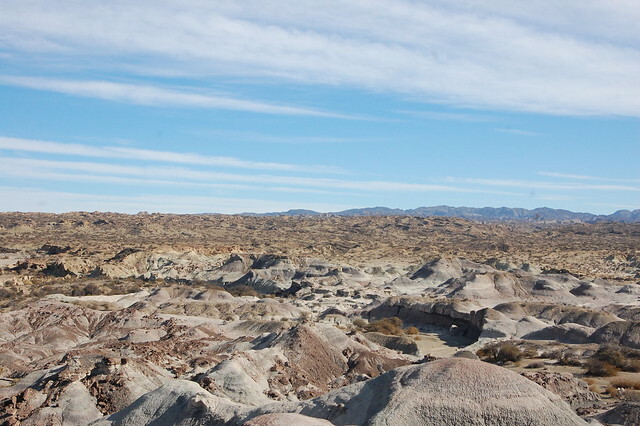 While many tourists took pictures of the major landmarks on our tour, I tried to appreciate the different aspects of the rock formations around us, such as the otherworldly shapes, crumbly ground, and the various mineral striations in the distance. 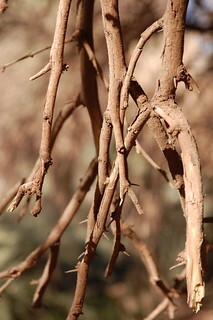 One of the major stops is known as the Cancha de Bochas. 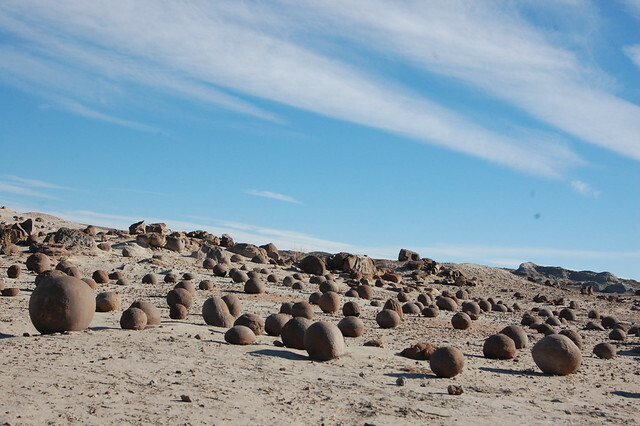 Cancha means court and bochas means bocce balls, so this name describes the orderly lineup of these round rocks. 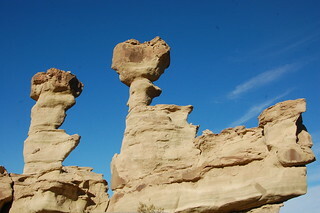 According to our guide, scientists have no clear idea of how these rocks formed into such round shapes! Next up was the yellow submarine, named for the Beatles song and the color of this ship-like rock formation. As we walked around to the other side of the yellow submarine, San Juan’s tourism bureau had a surprise for us. We heard a live orchestra playing a lively version of the famous Beatles song, followed by a tango performance by two talented local dancers. After that, we were invited to sample San Juan’s local delicacies of raisins, wine, and nuts. I was very amused by the idea of drinking wine inside a national park; I could not imagine doing that in the United States! It was nice to see them embracing the high volume of tourists passing through the Valle de la Luna during these two weeks of winter vacation. 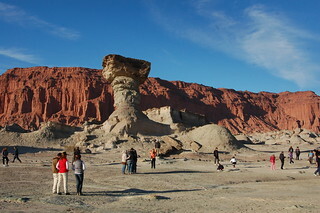 After enjoying our wine, we piled back into our cars to continue the caravan to the Valle de la Luna’s most famous landmark, El Hongo, or the Mushroom. 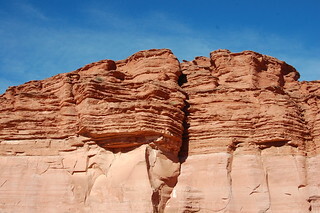 Surrounded by the gorgeous colors of the canyon, this rock formation is the most photographed and most distinctive feature of Parque Regional Ischigualasto. After having enough time to sufficiently appreciate its beauty, our tour ended, and we continued the journey out of the valley as the sun set. As we left, our guide told me that this “five stop” tour was a fairly recent development; a decade ago, you were allowed to drive through the Valle de la Luna independently, stay as long as you wanted, and experience other awesome, photogenic parts of the valley. 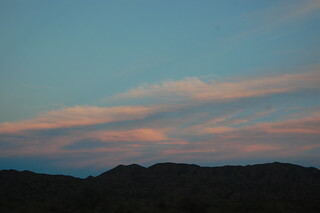 I was a little bummed that we could not stay for sunset, as the colors would probably have been amazing! Like I’ve said, Argentina’s approach to tourism is very different than that of its Andean neighbors, and not in a good way. After leaving the park, we began the long drive back to La Rioja. I now understood why the tour was so expensive; this tour was 12 hours long and involved driving long distances and a lot of waiting. On our way back, we had a funny experience: we got stopped by the Argentine police for what seemed to be a routine check. Apparently this area experiences a lot of illegal immigration (?) and the police wanted to make sure that we were all legal. However, I had forgotten that it was Argentine law to have my actual passport with me and only had the color copy that sufficed in Peru. I ended up being very friendly to the police officer and saying, “A copy is okay, right?” as well as translating once again for my Dutch friends, so we had no problems. Once we were on our way again, our guide told me that they could have asked me to get out of the car and he would have had to leave me behind with them! I want to say that I made sure to keep my passport on me for the rest of my time in Argentina, but I’m not sure that’s true. 😛 I’m just glad this police officer was not on a power trip and allowed me to continue on my way without any trouble. 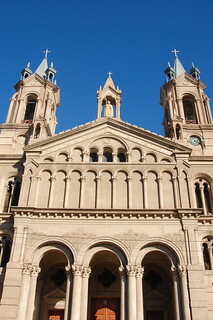 I spent the night in La Rioja, and after much internal debate, decided to continue on to Mendoza the next day, which would be my final stop in Argentina. I had thought about trekking over to Córdoba, but at this point I was ready for some wine, outdoor sports, and relaxation. If you’re traveling alone and want to do some adventure tourism, find a group in another city or go to the backpacker hostels around Valle Fertil. There are some beautiful regional parks in the area, but they’re not easy to get to without your own transportation. Make a group and rent a car, if at all possible! La Rioja itself is a small provincial capital and not that interesting, aside from some pretty churches and regional weavings and crafts in the Museo Folklórico. Unless you are very interested in seeing something off the beaten track, I wouldn’t say this city is a must-visit destination. If you stay in La Rioja and are on a backpacker budget, you can stay at Apacheta Hostel, a slightly less expensive hostel located near the city center, or Hostel del Sol, which is nicer and newer, a little more expensive, and about 10 blocks from the center. I really enjoyed Hostel del Sol’s breakfast and common spaces, but it is fairly far from anything. I highly recommend booking your tour with Corona del Inca, which is the most established and reputable agency in the area. I found them to be very professional. While attractive, I think Parque Nacional Talampaya is overpriced and overrated, and I wouldn’t suggest you go out of you way to visit. 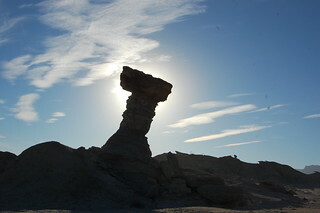 Parque Regional Ischigualasto (Valle de la Luna) is much more interesting, and easier to visit from San Juan. For a few days around the full moon, they offer a special nighttime tour. I wish I had known about it before going – it sounds super interesting. This is such an informative post. I am currently at Valle Fertil, one of the cheapest hostel but I was the only person here the night I arrived. It’s so true about the woes of a solo traveller. I just visited Talampaya today because there wasn’t a tour to Ischigualasto (only tomorrow), so I ended up paying so much for both tours. I liked that you paid attention to the change in landscape too! I was just thinking, snow-capped mountains a few days ago and it’s a desert today! Thanks for the comment, Owen! 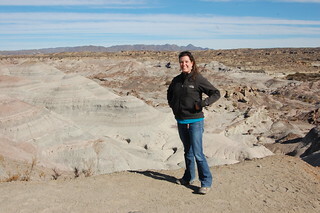 I also appreciate hearing that not much has changed in four years – that area is still challenging for solo travelers. I hope you enjoyed both locations despite the cost. In the end, you remember the beauty of the landscape, right? 🙂 Safe and happy travels!